With Sarasota County funding assistance for the nonprofit Suncoast Aquatic Nature Center Associates (SANCA) set to end after the 2018 fiscal year, Administrator Tom Harmer indicated this week that discussions will be needed about how to pay for the ongoing management of Nathan Benderson Park. SANCA handles that responsibility at the park, which the county owns. Bob Sullivan, president and CEO of SANCA, acknowledged in a May 23 report to the County Commission that no certainty exists about when the boathouse — envisioned as a major revenue generator for the park — will be constructed. 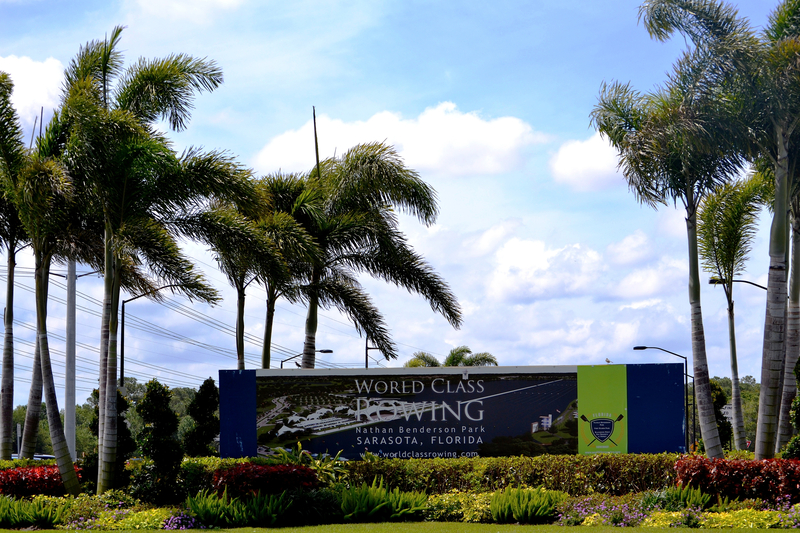 During discussions several years ago about the future of Nathan Benderson Park, then-CEO Paul Blackketter reported to county leaders at various times about his scouting trips all over the world, as SANCA staff considered boathouse designs. The facility was seen not only as a place to store equipment but primarily as a venue for all types of community events. Rent from those functions would make up a considerable portion of SANCA’s revenue, Blackketter said. A May 23 memo to the County Commission from Carolyn Brown, director of the county’s Parks, Recreation and Natural Resources Department, points out that the SANCA business plan shows a funding shortfall of $304,099.64 in the 2018 fiscal year because of the loss of Manatee County marketing support for the park. That financial aid ended in January, Sullivan noted during his remarks to the commission. “It is our understanding that Manatee County’s funding is predicated upon completion of the Boat House per agreement between SANCA and Manatee County,” Brown added in her memo. Sullivan did point out to the Sarasota County Commission that SANCA has asked Manatee County leaders to continue the financial support through 2020. The request is scheduled for the Manatee board’s consideration on June 6, he added. 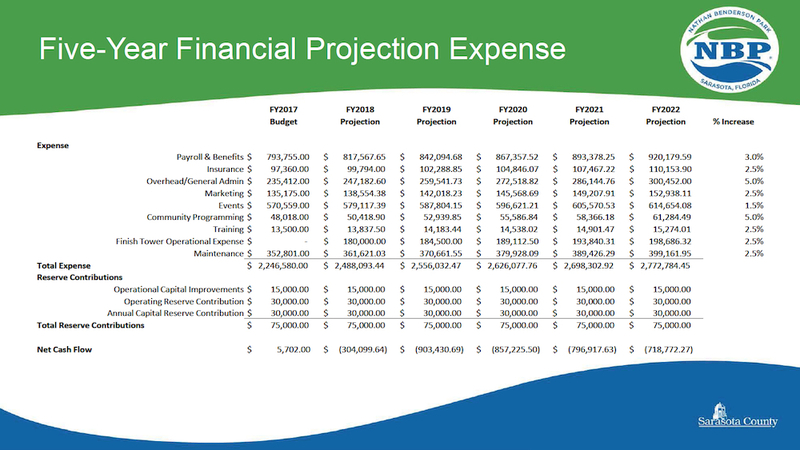 Without continued funding assistance t from both Manatee and Sarasota counties at the current level, the SANCA five-year revenue and expense projections show the park with a deficit of $903,430.69 in the 2019 fiscal year, according to the figures Sullivan provided the Sarasota County Commission. 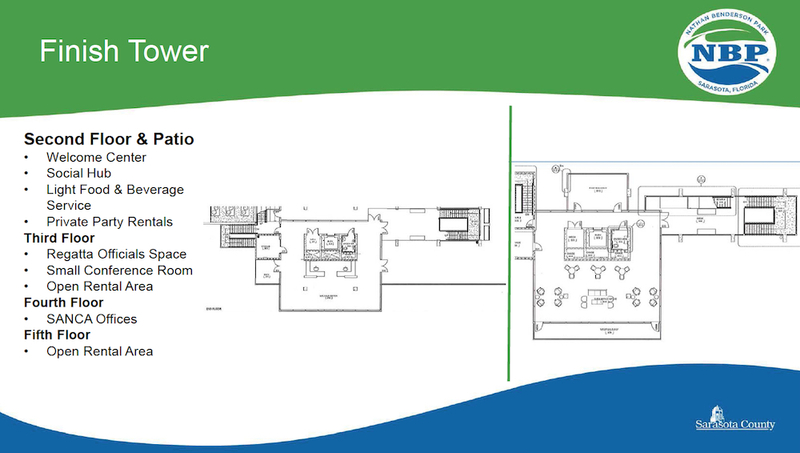 With the Finish Tower nearly completed, Sullivan pointed out during his May 23 remarks to the Sarasota board, SANCA staff has developed plans for renting out the third and fifth floors as a new revenue source. 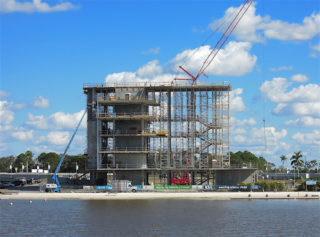 The Finish Tower will house the timing and other electronic equipment needed for rowing events at the park, and it includes facilities for the judges. Offices for the SANCA staff will be on the fourth floor, he noted. “The rooms themselves are not large,” he told the board, “but they are very unique.” For example, he said, the fifth floor affords “an incredible view” of downtown Sarasota. Staff envisions that as the setting for weddings, Sullivan added. According to the chart Sullivan provided the board, the highest total charge for a single function — a large reception with 80 people — has been estimated at $1,208. For a large banquet with 50 people, the projected rent is $1,090. Commissioner Charles Hines thanked Sullivan for “getting down into some detail” about pinpointing other sources of revenue. 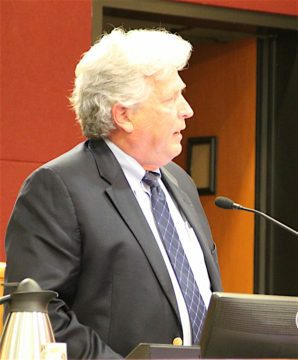 Referencing a May 26 commission budget workshop, Hines added that every time the county builds something new, staff and the board have to keep in mind that the county also will have to bear the ongoing cost of upkeep. The second floor of the Finish Tower will have guest services for park users, Sullivan explained. Members of the public will be able to rent equipment for use on the lake and then enjoy snacks and beverages as they relax after their activities, he added. 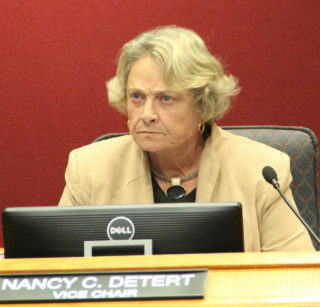 Commissioner Nancy Detert noted that the state budget approved by the Legislature — but still awaiting potential vetoes by Gov. Rick Scott — includes $2.5 million for SANCA. She asked how the nonprofit proposes to use that money, if Scott approves it. Among highlights in his report on activities at Benderson Park, Sullivan noted that 108 events — including team-training sessions — were conducted from 2015 to 2016. The number of participants was 29,333, and the spectators totaled 67,661, according to figures he provided the board. Those events also generated 14,628 hotel room nights, $703,584 in state sales tax revenue and an economic impact on the community of $19,549,620, according to a graphic he showed the commissioners. 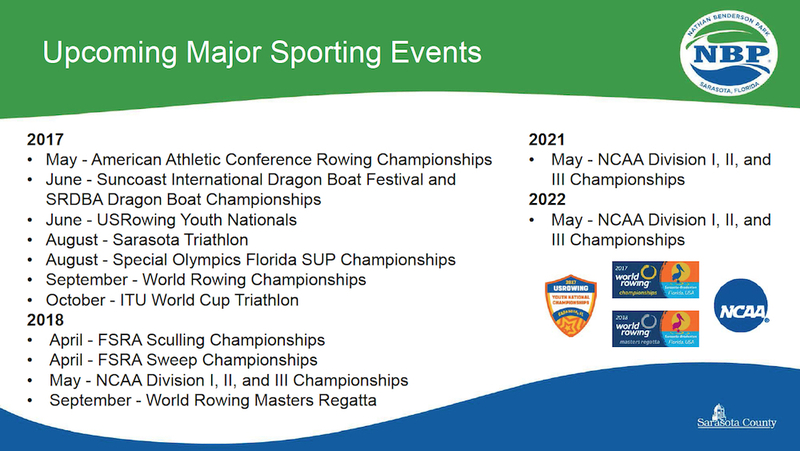 As for upcoming events: Following the conclusion of the World Rowing Championships this fall, Sullivan said, Benderson Park will host the ITU World Cup Triathlon. In May 2018, the park will be the venue for the NCAA Division I, II and III championships, he said; the NCAA has awarded those events to the park in 2021 and 2022, as well, “which is unique.” Usually, he indicated, the NCAA prefers to rotate those competitions among venues. In an effort to invite more use of the facilities by Sarasota and Manatee county residents, he continued, an Independence Day celebration has been planned for July 1; it will include family-friendly activities along with fireworks. He also is working on plans for a kite festival, he pointed out, and perhaps a sculpture garden on the park’s 600 acres. The latter event “could become a fundraising opportunity for us,” he said, with new artwork featured each year. Yet another prospect for drawing more people to the park, he continued, is emphasizing the opportunities for bird-watching, as a variety of unusual species show up on the grounds. He already has talked with Sarasota Audubon leaders about that potential, he pointed out. The park does offer rowing lessons for the public, a graphic showed, and it rents kayaks, standup paddleboards and single sculls. His hope, Sullivan continued, is to win grant funding to provide small sailboats that could be used in a teaching program, and he is looking into adding bicycle rental stations. SANCA did win grant funds to enable it to buy fishing equipment, he added, for a public program. The previous Sunday, Sullivan replied, he and his wife were driving by the park when they spotted a large one in the water. “So we’re going to rent standup paddleboards?” Detert asked. Chair Paul Caragiulo laughingly repeated Sullivan’s statement. Detert added that someone told her signs used to be posted around the park to warn people about alligators, but the signs had been removed. “I saw a sign yesterday,” Sullivan said, adding that he would have his staff check into whether any signage is missing. Nonetheless, he continued, “We make sure that [renters of equipment] are aware of [the potential for alligators in the water].” Additionally, he said, when people are out on the lake, staff members also go out in a boat in the event someone needs assistance. “Good luck,” Detert told him. No one on May 23 mentioned Sullivan’s announcement that he will resign from the job at the end of the year; County Administrator Harmer conveyed the news to the board in a May 17 email. In a statement SANCA released, Sullivan wrote,” I came to the Sarasota area to retire and immediately fell in love with the area, including Nathan Benderson Park. Sullivan began working with the nonprofit on Aug. 15, 2016. Before taking the position, he spent 11 years managing the Multi-Purpose Events Center (MPEC) in Wichita Falls, Texas, SANCA’s chair pointed out in a news release about Sullivan’s hiring.